The ministry of Jesus was directed towards the people of Israel but on a few occasions the Lord acknowledged the needs of the uncircumcised. A centurion was an officer of the Roman army that subjugated the land of Palestine. The Romans were not looked upon with favor by the Jewish people and often scorned because of their cruel treatment of the citizens. For a Roman commander to come to Jesus seeking a miracle to heal his servant was truly a remarkable story. Jesus did not hesitate and told the centurion He would come immediately to his home and heal the servant. To the astonishment of the Lord the centurion humbly begged Jesus to only speak a word and his servant would be healed. Believing in the power of healing by touch or making spittle for the eyes is one thing but to acknowledge that Jesus had the power to heal a man without being present was truly remarkable. Sadly, the Lord could not find that kind of faith among His own people. Jesus uses the opportunity with the centurion to show that a day will come where all men will come to the feast of the Lord. The multitudes that followed Jesus would find it difficult to believe the pagan Gentile would be granted a place with the righteous but the testimony of the centurion was clear evidence that greater faith often resided in the uncircumcised. The Jews were so filled with the pride they could not accept the idea that God loved the non-Jew. However, the incredible faith of the Gentile that implored Jesus to only speak a word to heal the servant was something unheard of among the nation of God’s people. Jesus had not seen that among His own people. The story of the centurion leaves many questions of whom the man is and where he gained his improbable faith in the power of Jesus. Many of the Jews would not believe Jesus when they saw a miracle first hand. The centurion was a man of conviction that accepted only a spoken word. What influences in life brought him to Jesus? Would he have a part in the early church? No doubt he would have a common thread with Cornelius, another Roman centurion who would be the open door of the gospel to the Gentiles. Faith comes in many forms. Having the kind of faith that only asks Jesus to say a word is faith on a higher plane. The faith we need today is not just a marginal belief in what makes us comfortable. Prayer is an expression of our faith and through prayer we acknowledge the power of God. When we have faith like the centurion, we will ask for the Lord to work in our lives by only speaking a word. Simple trusting faith. A child-like faith that fully trusts in the will of God is the kind of faith the Father desires for His children. Our faith must be governed by the belief that God can and will work in our lives to His glory and that nothing is impossible for Him. The courage of the centurion to approach Jesus is remarkable. His request is even more remarkable. 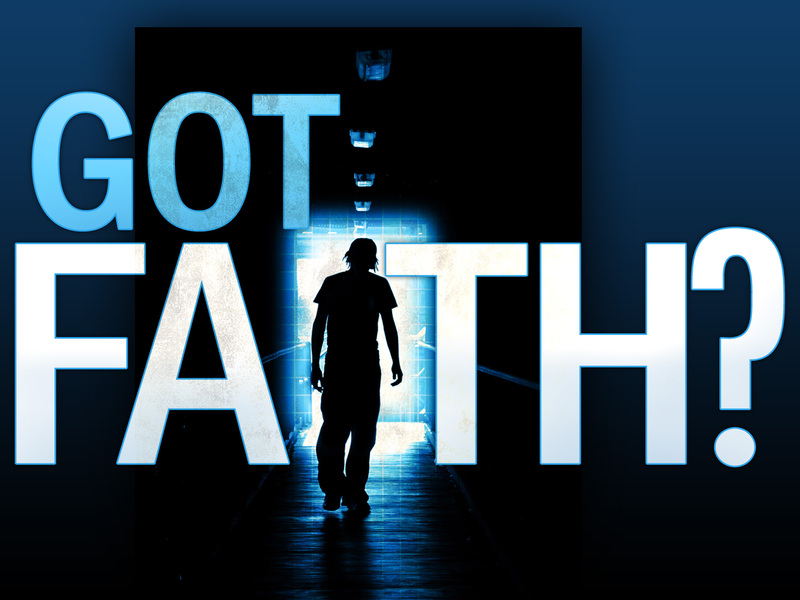 Can the Lord find that kind of faith in the spiritual house of Israel today? Only speak a word, and my servant will be healed.